We’ve come to the time of year when teachers are scrounging for ideas and materials to make it through the last weeks of school in one piece. Although you’re likely feeling tapped out, you’re forced to come up with some of your most creative ideas. What gives!? Personally, my own classroom cupboards currently contain mostly empty containers of paint. There’s not enough paint to complete a project, but there’s too much to just throw it away. My solution? Add water! Here are 6 ways to use up diluted paint! One way to use up watered down tempera or acrylic paint is to create faux spray paint. Simply add water until the paint flows through a spray bottle. 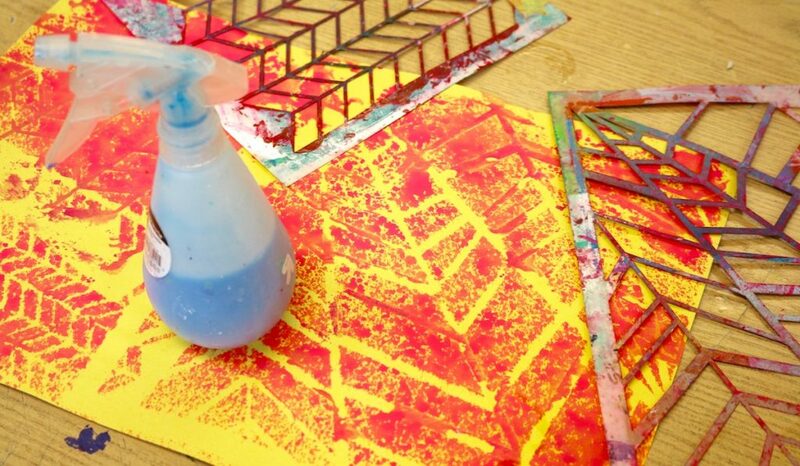 Try having students create their own stencils to use with the paint. Or, have them create stencils to make decorative backgrounds for other projects. Nothing truly compares to the magic of tie-dye, but the initial cost of all the materials can add up quickly. 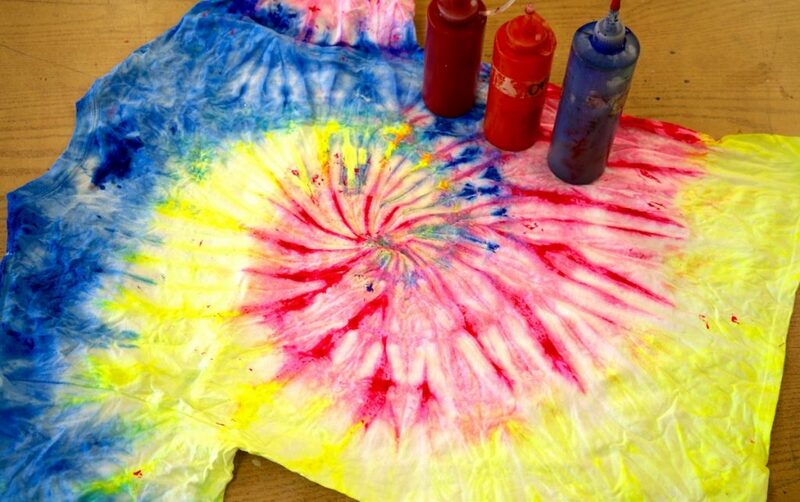 However, did you know you can tie-dye shirts with acrylic paint? The colors will not be as brilliant as traditional methods, but it does work! Just water down the acrylic paint and put it into squeeze bottles. Then, apply it like you would traditional fabric dye. 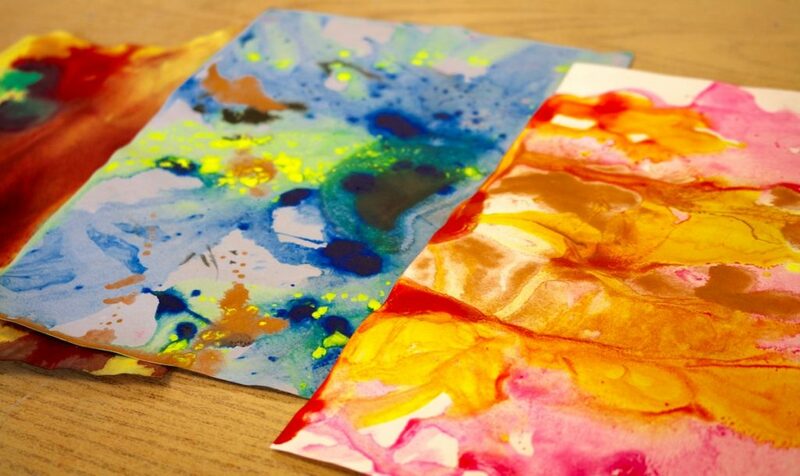 Another great way to use up paint is to create decorative paper. You can dip the paper into tubs filled with different combinations of watered down paint for a marbled effect. Or, you can wet paper with a spray bottle, then spray watered down paint on top. 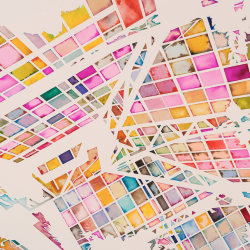 Either way, as the paper dries, the paint absorbs into it creating a lasting effect. These papers are great to use for future projects! 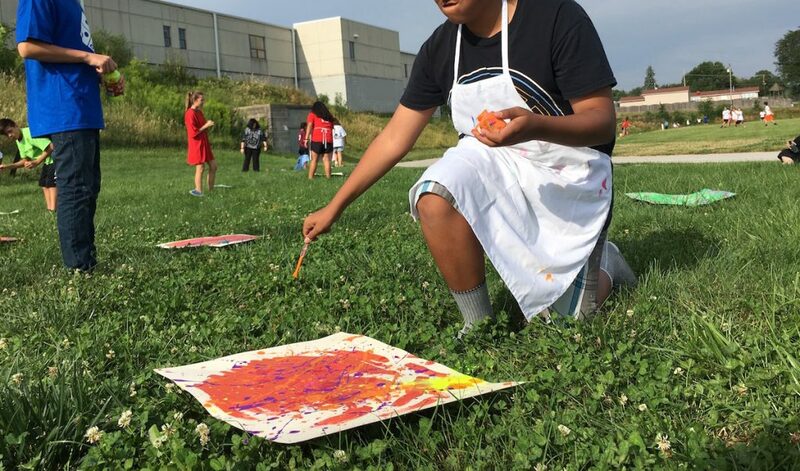 Using diluted paint in squeeze bottles is a great end of the year, outdoor activity for students to explore their inner Jackson Pollock. If you’re looking for a way to go beyond the Jackson Pollock action painting, take a look at the work of Dale Chihuly. Although known as a glass artist, his action paintings are used to inspire his sculptures. You can also explore the encaustic artwork of Douglas Mehrens while action painting. 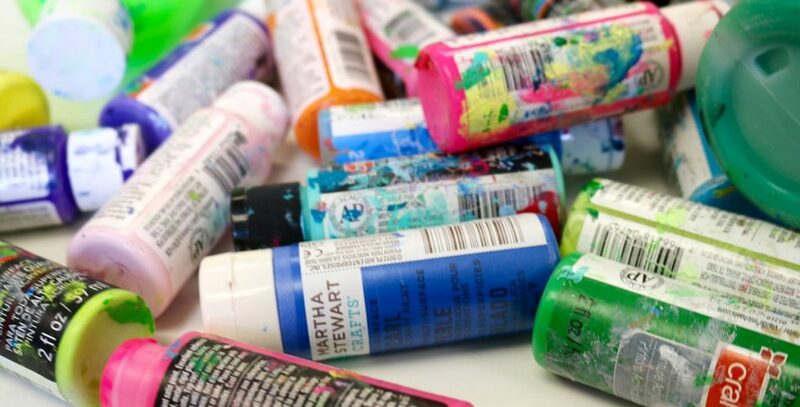 Whichever point of interest you choose, your students will love the chance to splatter paint. Paint can be magical. There is something so satisfying about watching colors mix together. Try combining the magic of color mixing with photography. You don’t need a fancy camera to try this out, the photo here was taken with an iPad! First water down paint so it is very fluid. 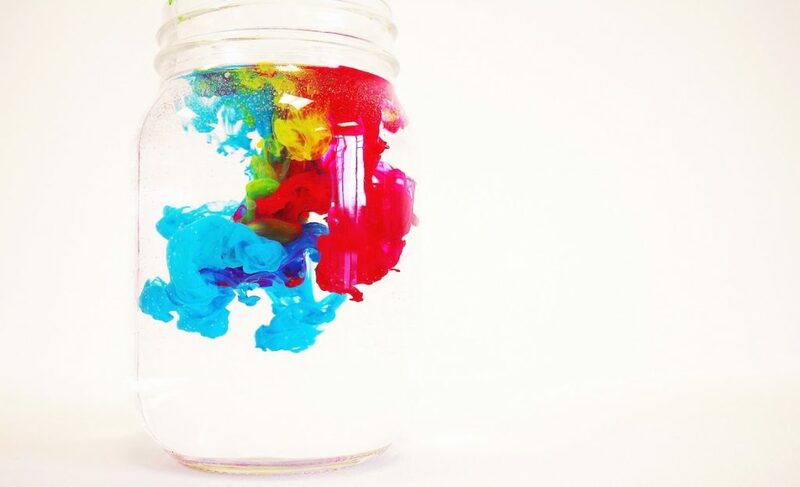 Then, use an eyedropper and combine multiple colors and paint into a clear container of water. As the colors hit the water, capture the magic with a photo. Sometimes, to make it through these final weeks of school some motivational incentives may take place. A motivating incentive for my students has been working toward getting to throw paint at their teacher! This could be set up as a competition between your classes. In my homeroom class, we worked toward earning 500 A’s. Once the goal is met, prepare to arm yourself with coveralls, a shower cap, and some goggles! 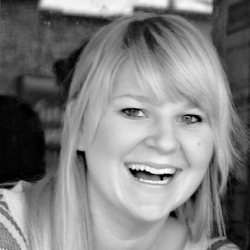 Your students will love squeezing diluted paint on your head or throwing paint-filled balloons at you! Finding ways to be resourceful with materials can be tough when we don’t feel like we have enough to get by. If you’re looking for ways to make your paint last just a little bit longer, diluting it with water can make a huge difference! Try using one these processes to engage your students as the dreams of summer start to creep in. How do you use up leftover paint? What are your favorite activities to end the school year? I don’t know that I necessarily agree with this. Department budgets being what they are, wouldn’t it be a good idea to keep those and then add them to the paint that may be coming in the next year? 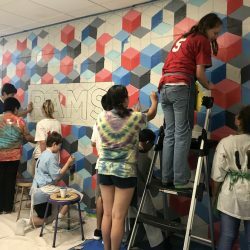 What happens when budgets are smaller than previous years and the paint that was used at the end of the year could have been used for the next year? Maybe I’m just frugal. I certainly do agree with you and practice that in my classroom. My intent, which may not have been clearly executed, was to express how to GET EVERY LAST BIT of paint from the bottles. No matter how much I transfer paint into other bottles, there seems to always be a little paint left on the sides and on the bottoms. That’s when I use the solution to heavily water it down and shake it around in the bottle for a full bottle of diluted paint (enough where color can still be seen). 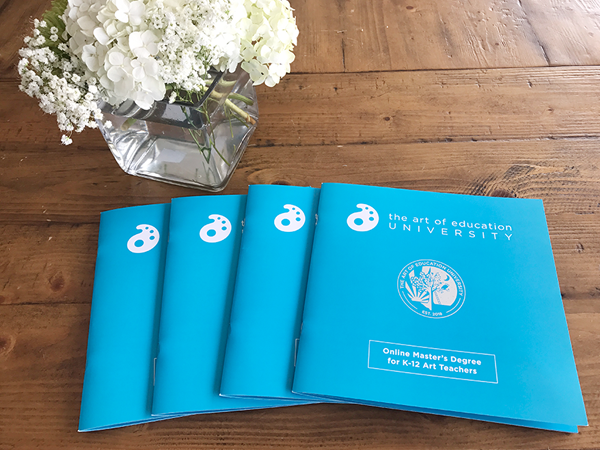 Art teachers are always looking for ways to stretch their budget and this is just another way to get every last bit. Thanks for reading! I agree with the author on this, especially taking into consideration her comment below. There is ALWAYS paint in the bottle. The only way to truly get it all is with water. I teach at the high school level and we use acrylic, which doesn’t save. It smells so rancid. I only order a little at a time, usually three times a year. Whatever I try to save over the summer, is likely to knock you out in the fall. Love those ideas! 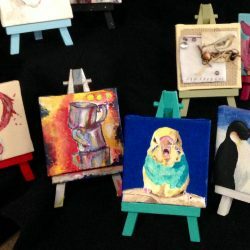 I give leftover paint to students and they get to paint one brick in the art room each….they love it.